Steers take away has a menu with a large selection of burgers to tickle anyone's taste buds. There is a wide range of burgers from beef, chicken or vegetarian. For those that do not have a large appetite the Get Real! burgers will be just right. For those that require a little more why go for the King Steer burger. Steer's hero rolls are packed with flavour and allow for more choice from the menu. 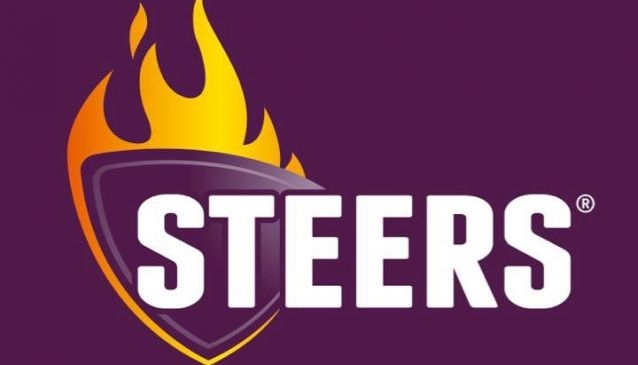 Steers prides itself on their handmade chips, which can be added to the burger to make a meal or ordered separately to make a meal of their own. For those that require a delicious sugar kick, try their selection of milkshakes or sundaes for a sweet treat. Steers is affiliated with Debonairs, so for those the feel like a pizza it is generally located in the same vicinity.